Happy 106th birthday, Mr Fleming! 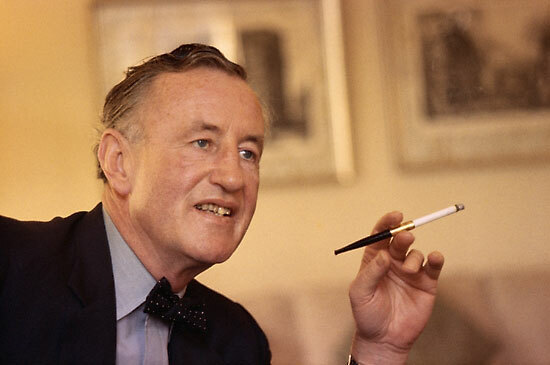 If he was still alive today, May 28th, Ian Fleming would celebrate his 106th birthday. In all likelihood with a glass of appropriately noble and exquisite bubbly to emphasize the occasion’s unique character. Team and members of CommanderBond.net from around the world raise their proverbial glasses in honour of this date and hereby salute you, Mr Fleming. Here’s to many more decades you and your work shall be remembered! Incidentally – no, not entirely – today is also the day title and cover of the new Young Bond novel by Steve Cole are going to be revealed, as John Cox/The Book Bond informs us. Charlie Higson will officially hand over the mantle of the Yound Bond continuation author to Steve Cole at the Hay Festival, today at midday. The event is going to be captured on film and the video will be available on John Cox’s The Book Bond. We warmly recommend his fine work. Not for the first time, but his site cannot be recommended often enough. Cheers, John!